It hasn’t gone unnoticed by us that Amal Clooney has been wearing her fair share of John Galliano for Maison Margiela recently. It’s a move that stirred up some controversy, with some critics asking whether it was appropriate for a human rights lawyer to be working with someone found guilty of making anti semitic remarks. 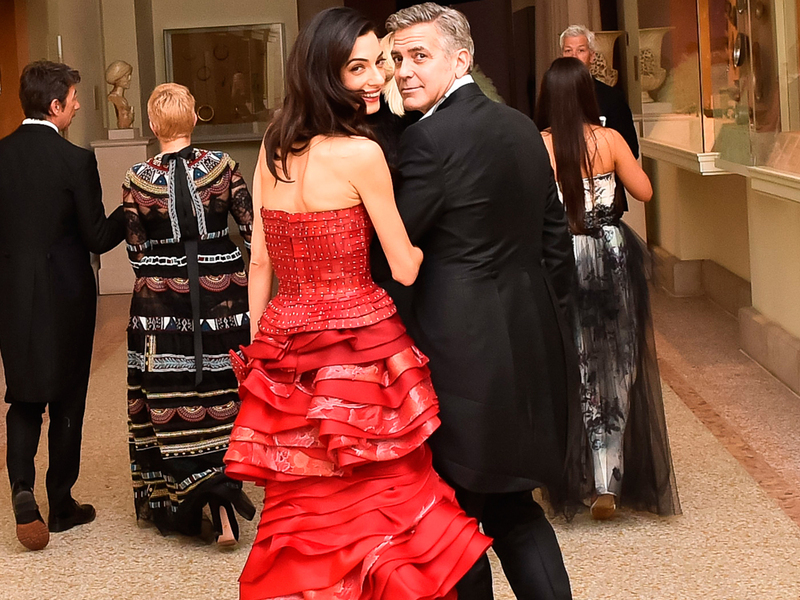 Amal first wore Margiela to the MET Gala in New York and again to the Japan premiere of husband George Clooney’s film Tomorrowland. Now we know why. Amal has teamed up with stylist and consultant Alexis Roche, who also happens to be John Galliano’s long-term boyfriend. Roche is a big name in the fashion world and also counts other ultra-fash stars like Kendall Jenner, Marion Cotillard and Liu Wei among his clients. Amal has only worked with Alexis twice – and both times he dressed her in Maison – for the rest of her high profile events Amal has been in complete control. Alexis may not be Amal’s full-time stylist, yet, but we look forward to seeing how this relationship develops.